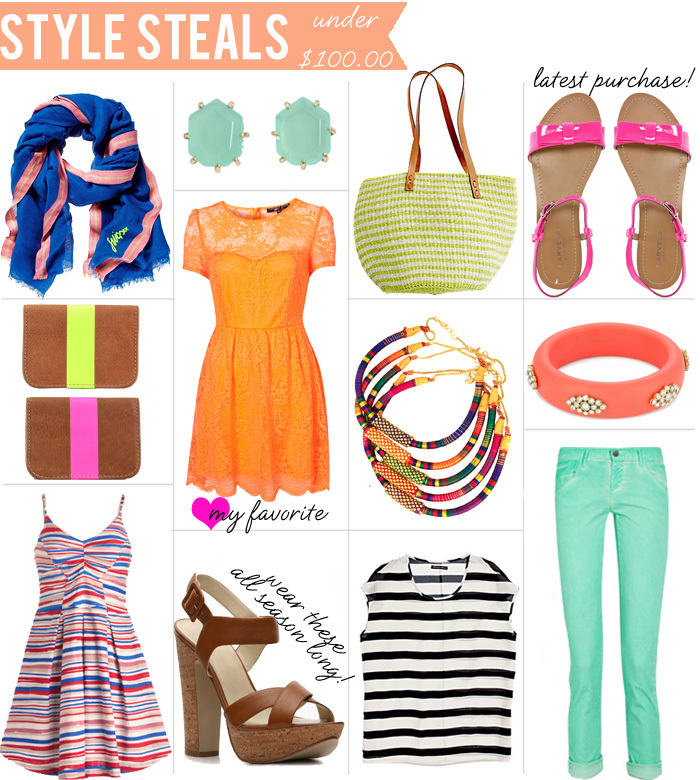 ** Speaking of “style steals”…. head over to SHOPBOP today for their latest SALE! Major markdowns today. Just added this orange Tucker blouse to my cart. Start shopping! Lots of pretty things, I especially like the jewelry and pouches! Love it all! The shoes and card holders especially caught my eye. blank denim is so affordable, love the mint color! really love those Bandolino sandals you found – the perfect summer staple! Dude. Sandals. Earrings. Love all of the brightness going on here. All of these picks are amazing – and I have been wanting one of those Vivier clutches for ages!